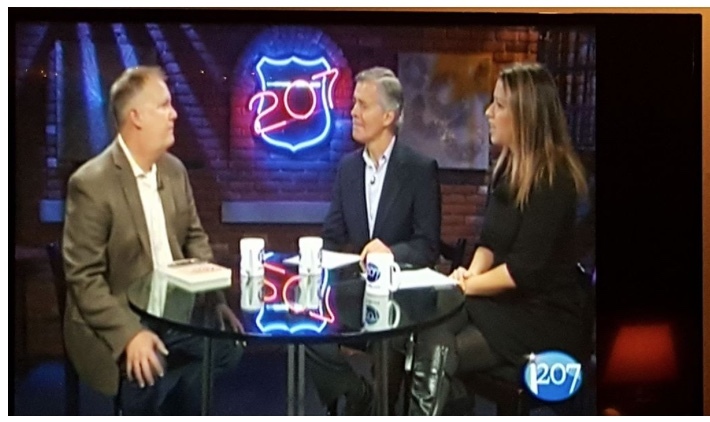 I was thrilled to join Rob Caldwell and Amanda Hill from WCSH6 TV’s award-winning show 207, broadcast from their studio in Portland, Maine. It is especially gratifying because I grew up less than 10 miles from the station, which has almost always been a part of my life. Of course, Rob, Amanda, and the crew made me feel welcome, asked great questions and produced a compelling segment.